We’re pretty much at that place where we’re ready to let go of our New Years goal of eating clean. How could we continue to eat clean when Vancouver cafes, restaurants, and bakeries are coming out with new and exciting treats like these? Besides that Chocolate and Sea Salt Cookie (you know the one) Nemesis has a ton of new treats up for grabs. These offerings include house-made Hot Apple Cider, a Pistachio Kougin-amann, and a Blueberry Tart to name a few. Timbertrain Coffe Roasters just announced the release of their newest product – Bottles Iced Lattes. A pick-me-up for those on the go, this sweet drink will also pair well with their baked goods. This offering is from J Crepe, a new Japanese crêpe spot in Marpole. This Crème Brûlée treat is made with passionfruit jelly and whipped cream in a charcoal bamboo crêpe. This treat comes from one of Chinatown’s local haunts, The Union. You can also order full pies for some indulging at home with friends, or by yourself, you do you. Available at all three of their locations, these fluffy, drizzle dreams are made with Cartems’ signature yeast dough, coated in house-made caramel, and topped with vanilla bean drizzle and chopped pecans. 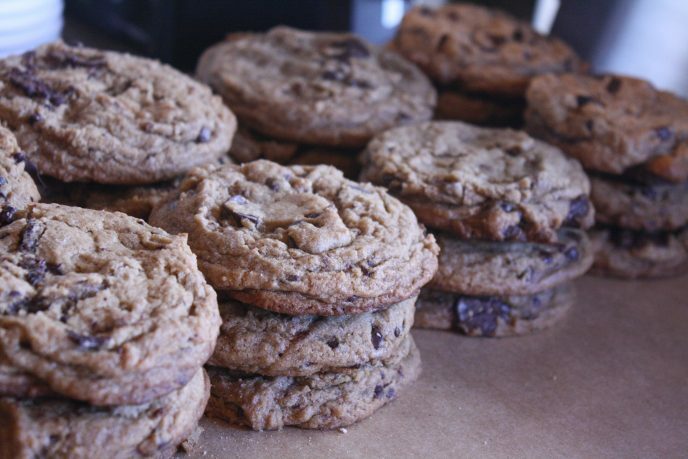 Fife offers a handful of baked goods including brioche loaves, sourdough loaves, and some of the best chocolate chip cookies you can put in your mouth. Trust us. 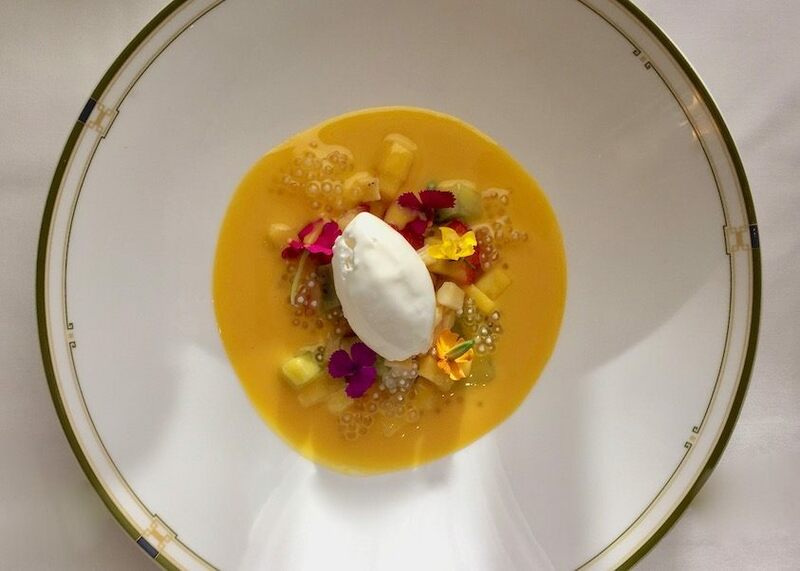 1886 has may have a dinner menu packed with morsels such as Szechuan Drunken Chicken, Peking Duck Salad, and XO Crystal Lobster Pan Fried Dumpling, but this Tropical Fruit Sago, but this treat will make you feel like its summer again, a must-try. 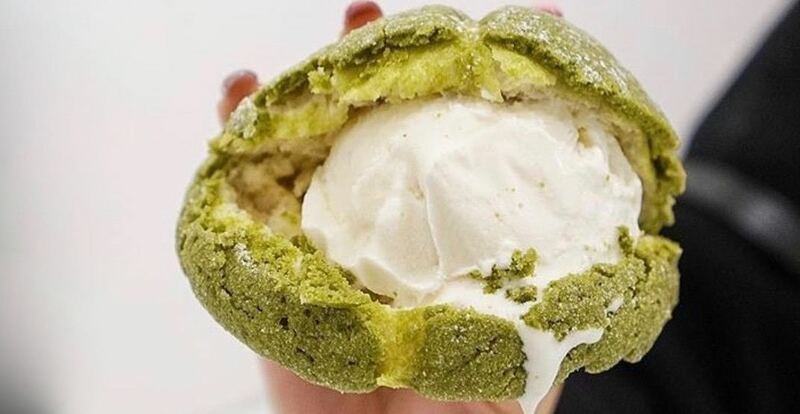 This Mochi Matcha Red Bean Melon Pan is served with a scoop of vanilla ice cream stuffed inside of it, and it’s brand new for the Japanese bakery.